There’s something for everyone in this horror collection from Elephant’s Bookshelf Press. Whether your fears remain secret or you laugh while monsters devour your neighbors, we believe something in this collection will make you keep the lights on when you go to bed. Includes tales from E.B. Black, Kay Elam, Kim Graff, Justin Holley, Precy Larkins, Sarah Glenn Marsh, R.S. Mellette, Madeline Mora-Summonte, Matt Sinclair, A.M. Supinger, and Charlee Vale. 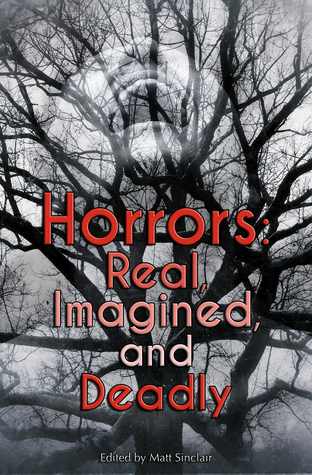 Mindy’s horror short “Past Due” is included in this collection.